Testimonials from families who LOVED working with Parent Heroes and had AMAZING RESULTS! My husband and I began sleep training for our son after he turned 6 months old. He was still waking and eating multiple times a night, we didn't have a consistent routine, and we were exhausted. We worked with Vanessa to create a plan that worked for our family and felt comfortable to us. We worked with her for two weeks with multiple coaching calls, keeping a collaborative sleep log, and receiving guidance along the way. We always felt like we were her number one priority during calls and she had great communication. In the end, our baby is sleeping great through the night! We know that there will be more milestones with his development, but we feel like we have the tools to get through them! If you're wanting more time in the evenings for you and your partner, if you're wanting your baby to have good rest backed up by science, and feel like you have support and confident in your sleep plan, don't hesitate... call Vanessa for a consultation now! You can come back and thank me later. :) Happy Sleeping!! Before we started sleep training with Vanessa, I dreaded nights. When the sun went down, our happy baby turned into a fussy/crying baby that wouldn't settle for anything less than being held and nursing constantly. He was waking almost every hour each night and I was in tears and exhausted. I had sleep books, but there was no way I could read or understand them in my zombie-like state. Vanessa came to our rescue! She explained the training methods in a way we could easily understand them, helped us choose the right one for our family, and gave us a plan. Her coaching not only taught us how to get him to sleep, but gave us the confidence we needed to follow through. It only took a couple nights for our son to catch on and now he is a fantastic sleeper! We always thought of him as a happy baby, but now he seems even happier now that he is well-rested. As a bonus, my husband and I now get to have time in the evenings to ourselves, and have much longer stretches of sleep. We are all so much happier and well-rested. Vanessa is easy to talk to, fun, assuring, and knows her stuff! I'm so glad we found her and would recommend her to anyone looking for help with sleep training. She truly is our sleep hero! Vanessa from Parent Heroes changed our family miserable schedule and totally saved my motherhood experience. My daughter stopped sleeping at 3.5 months. She would wake up every 2 hrs at night, not nap at all during the days or take 30 min naps after I would need to spend 30-45 min rocking her or walking with her in a stroller. And it was taking me 2-2.5 hrs to put her down to bed. I've tried everything out there I could find on the internet - ferber, tracy hogg, cry it out, fading methods, etc. And nothing ever really worked for us. I was so sleep deprived that I couldn't drive anymore and I could never get anything done around the house or have a normal sit down dinner with my family. My husband felt abandoned. After 2 months of this craziness when my daughter was 5.5 months old and I felt totally miserable in my motherhood I realized I need help and I had to get it asap. Vanessa started working with me the next day after I approached her on her website. She suggested a 1-week help package for us, but we purchased a 2-week one. And I'm so happy we did that. Even though I started seeing a huge change in naps from Day 1, and my daughter woke up just once to breastfeed on Night 2, I learned tons of valuable information from Vanessa during our phone calls within those 2 weeks. She is full of parenting hacks and knowledge. Vanessa explained to me the basics of sleep science and how we actually need to teach our babies to sleep the same way as we teach them to do everything else in life. And her valuable advises saved our family vacation which was planned long before I learned that my daughter is a sensitive sleeper, and was all booked and paid for. 3 weeks after we started sleep training my daughter started sleeping 12 hrs per night and stopped waking up for the night feedings all by herself. It takes me 15 min to put her down to bed now. And at 6 months of age she does 3 naps a day. Besides that Vanessa has a wonderful very cheerful personality and it was such a pleasure to meet her and work with her. I'm not a first time mom so I thought I had this whole baby sleep thing figured out and apparently *NEWS FLASH* I didn't! I used Vanessa's "pick my brain" help when my baby decided it was time to wreck havoc on the wonderful nightly pattern I thought we had going. We needed a fresh set of eyes on our situation to give us some clarity on what the root of our discourse was, and that is exactly what she provided. We tweaked what she recommended we tweak and lo and behold it worked! And everyone's sleep became markedly better in a matter of a few days. Thank you Vanessa for helping us get back on the right (and well rested) track!! Working with Vanessa was one of the best decisions we've ever made as a family. She helped me to sort through the ways in which we were getting in the way of our son's natural ability to sleep (not to say he is perfect at sleep-he is a baby, after all!). She worked hard to get to know our family style and rhythm, and provided expert guidance that was tailored to our comfort level and unique parenting style. I never once felt judged or shamed or pushed (something I feared with the dreaded "sleep training" process). Her approach was gentle, yet encouraging and firm in a way that created a sense of trust in her, myself, and the process. There were even times when I struggled to buy into certain aspects of the process due to fears I had, as well as my own personal professional perspective (i am an attachment-based psychotherapist and basically spend every day predicting how every action i take will lead my son to therapy one day-LOL! ), and Vanessa helped me to process these feelings. She was also curious about my thoughts, and I appreciated this so much. Overall, the experience was deeply effective, both in getting my son to sleep better, and also in stretching myself as a parent. We learned so much, and I'm so grateful. 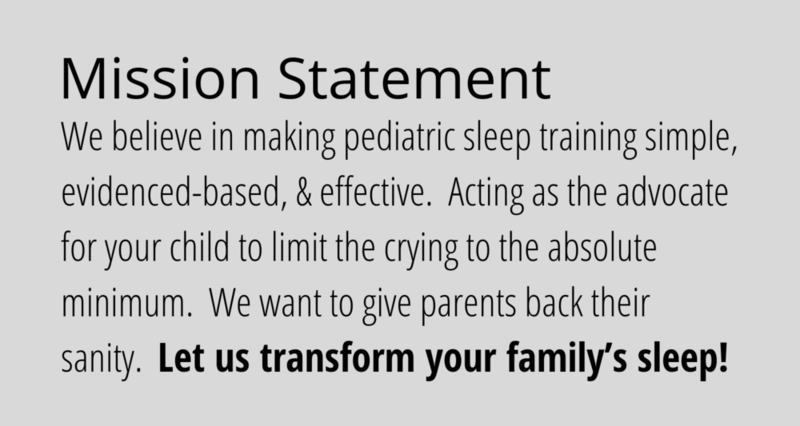 And I would (and do) recommend her to anyone who is looking to help their child tap into his/her inherent sleep rhythm. Parent Heroes helped my 4.5 month-old daughter become a superstar sleeper. At 4 months my daughter began waking every 1.5 hours at night and I couldn't seem to get her on any regular nap schedule, I was starting to go mad. All this right before having to go back to work. After less than a week of religiously following Vanessa's plan, my daughter was only waking up twice during her 12 hours of night sleeping and taking 3 regular daytime naps. She is now a much more predictable and happy baby getting all the sleep she needs to grow her brain and body. Plus after the end of our 2-week consultation, I walked away with a clear plan on how to drop her 2nd and eventually last night feedings. Very, Very Pleased. Vanessa is hands down the best sleep consultant in Austin, TX! We had a wonderful sleeper until 4 months old! Then our sleep habits went upside down!! Vanessa was so patient and kind and so so incredibly helpful! Her calm voice, her positive encouragement and her ability to seek out a plan that works for our baby AND our family made all the difference! We have a baby with a slight medical issue and she listened out our concerns and we set goals and boundaries! She helped us listen to our baby and guided us through the thick parts. Vanessa also sent information to our pediatrician to let her know we are working with her! She made life easy for us again!! I'd highly recommend Vanessa!! We were having a tough postpartum with a very alert, sensitive and particular baby. She was waking up every hour or 2 during the night, and each night was unpredictable. I was totally at a breaking point. Vanessa made so much time for me and was basically my therapist! She showed me that I don't have to be responsible for helping my baby go to sleep, that she can learn to do it herself, and that it would be the best skill she can ever learn! After day one of sleep training, we had a predictable schedule and my daughter was only waking up one time to eat at night. And she was actually napping! She truly understands babies and moms, and her experience as a nurse was also reassuring. Hiring Vanessa as our sleep coach was the best decision, and I cannot recommend her highly enough! My 20 month old son completely quit sleeping one day! It would take me an hour to an hour and half to get him to sleep at night and he would be up by 4 am. I assumed it was teething, or a sleep regression but when he also quit napping I knew we had a problem and needed help. I was 8 months pregnant and needed sleep desperately! Vanessa spent over an hour with me in the initial assessment and from there created a sleep plan for my son based on his needs and personality. She called everyday to see how the plan was coming as I implemented it, and gave me tons of support emotionally to stay the course. She also emailed me relevant blog posts and information to help supplement our action plan. Best of all the plan worked after one week! I now have my son back! He is sleeping 11 hours at night and taking 2 hour naps. No more crying or early morning wake ups, and I am getting the rest I need too. I will definitely recommend Vanessa to my friends!!! Vanessa with Parent Heroes has helped both of my children to sleep more soundly. My two year old went through a terrible sleep regression when I was 8 months pregnant. I was desperate to get him sleeping through the night again before my daughter was born. I tried everything I could think of and nothing worked. Vanessa was recommended to me through a friend and I called her that same day. Thank goodness I did!! She helped me get him back on track and sleeping soundly. The nightly calls to check-in were wonderful and gave me the support I needed throughout the process. I was so happy with our experience that i had Vanessa help sleep train our daughter when we were ready. She was able to help us teach our 5 month old to learn to self sooth and fall asleep on her own. What a life changer! Now both kids are sleeping, and my husband and I have time to spend with each other each evening. I would recommend Vanessa to any tired parent looking for help with sleep training. Don't lose any more sleep over your child's slumber woes - reach out to Vanessa instead! She was instrumental in coaching me through bedtime bungles with my 18 month old son. Prior to her help, my husband and I were "snuggling" our child to sleep, then attempting to lay him in his crib without waking him. We were essentially being held prisoner by an ineffective nighttime routine, and losing valuable time to spend with each other. Vanessa helped me recognize the signs my son was already giving, telling us he was ready to start going to bed independently, without a fight. She also guided us through the expected bumps in the road, and taught us easy methods to address them. The result was a restful night for my son, and two formerly beleaguered parents who were able to spend some time together again. Vanessa is approachable, knowledgeable, and willing to share her own struggles with the families she helps. She provides practical suggestions with an evidence-based foundation for making bedtime the peaceful time it should be. As a "Type-A" perfectionist, I had read as many books as my sleep-addled baby brain could process, asked for advice from friends and family, and even made color coded spreadsheets (of course!) for my husband and nanny to try and get our baby on schedule. We had almost given up hope, and were tight on finances. The best decision we ever made was to pull money from savings and hire Vanessa for a week! My husband and I say to each other every week - "Thank God for Vanessa!" I don't say many things are life-changing, but this certainly was for us. Our heartfelt thanks to you, Vanessa! Vanessa to the rescue! We loved co sleeping and cuddling our baby for naps but when she was waking us up hourly and not sleeping without us near we started feeling, well the word tired was an understatement. Vanessa's knowledge, skill and gentleness with us turned it all around. With her coaching, our baby showed off her sleeping skills swiftly and the general mood around the house became so much sweeter. A rested baby grin first thing in the morning makes it all worth it. Vanessa's investment in making the right plan for us along with the check ins and tweaks we have made to make night and day time sleeping smoother go above and beyond. We have sang Vanessa's praises since and easily recommend her coaching to anyone who is struggling with baby sleep. Vanessa is amazing! We called Vanessa at a very hard time. I was co-sleeping and holding our sweet girl for every night, nap and feeding. I was getting no sleep, no down time, no time with my older kids or with my husband. Vanessa's method and warm heart gave me back my marriage, special time with my older kids my sanity and helped really be present to my time with My sweet baby. I had tried reading books but when I was so sleep deprived and desperate, I just needed someone to tell me what to do! I never felt rushed on the phone and she took as much time as it took to help me. When in doubt, Vanessa was always prompt with her help! If I had known how life changing our work would be I would have called her before the baby was born! I think Vanessa's work is so important and can help so many families! Absolutely loved working with Vanessa. I was very hesitant to sleep train because I really didn't like the idea of cry it out. She showed me the importance of helping my baby learn to self soothe himself without stressing him out. We took a very gentle approach to help him sleep through the night. He was sleeping through the night within a week of sleep training! She has always been more than happy to chat whenever new issues or questions have come up. I highly recommend Vanessa. She goes above and beyond for her clients! Vanessa with Parent Heroes has made a huge difference in our lives. Our 9 month old went from 5-6 wakings to 0 in no time. Now granted, she may have been a fast learner but Vanessa helped advise us on the best sleep training method to meet her learning style. I really took comfort in Vanessa's check-in's and sleep log monitoring. The coaching and positive affirmations helped this anxious mom feel better about the process. I highly recommend Parent Heroes and Vanessa. Vanessa was knowledgeable, a calm voice of reason and generous with her time. She answered our newborn sleep questions, provided us with helpful resources, gave us "kudos" for what we were doing right and pointed out areas for improvement. My husband and I both really appreciated Vanessa's candor and will be recommending her to our friends who have newborns. I am thrilled at how wonderfully my 6 month-old son has fallen into a sleep routine thanks to Vanessa's help. His naps begin at consistent times now. At daycare, he naps 30 - 90 minutes at a time, but at home, he naps up to 2 hours each time - YAY! And he's CRUSHING the overnight thing now that we've eliminated night feeds! All the people in my life are amazed that he can be just put down to fall asleep on his own and that he'll sleep all night long. I honestly feel that his healthy sleep habits is the main reason why he's such a joyful baby. Thank you, Vanessa! We've worked with Vanessa twice this year when my 2 year old was having sleep issues and both times she has been very helpful, informative, encouraging and I love that she's also a mom of a toddler and a nurse! Her advice was catered to our needs and the process of working with her was seamless. Both my husband and I have felt that working with a sleep consultant was worth it - sleep is so precious!! We'll also be using her for potty training next once we get sleep conquered! Thank you Vanessa! Vanessa / Parent Heroes changed our lives! Vanessa was incredibly informative on babies, sleep needs, sleep environment etc. and clearly laid out options for sleep training. We enjoyed having options for the training approach / method, and appreciated Vanessa's outlook and direction on the process. She was reliable during our training, answered our many questions promptly, and we had great success for night time sleep and naps almost immediately. We now have a happy baby and are enjoying a little more time to ourselves! Working with Vanessa was a lifesaver! Our 4.5 month old has acid reflux and woke up 2 to 5 times a night (and sometimes for 4 hours at a time!) for his entire life. Mama couldn't take it anymore! Vanessa's coaching was exactly what we all needed. Our baby took right to sleep training and the daytime schedule Vanessa gave us. Our days went from stressed chaos to pure joy. Once Mama got some rest, parenting became fun again! And our sweet boy was finally getting the rest he needed, too. Vanessa gave us so much knowledge and great tips along the way that we have no doubt that we can help our baby sleep well for the the rest of his life. We can't recommend Vanessa and Parent Heroes enough. Our five month old hadn't slept more than 2 hours in a row in six weeks. I had no energy or cognitive ability to figure out how to fix the problem because I was so incredibly sleep-deprived. After hiring a night doula at great expense just to survive my workday, we decided to work with Vanessa to sleep train. Vanessa walked us through the various sleep training methods and helped us pick one to follow. She got my husband and I on the same page, which was also super important, gave us a written plan and answered all our questions. Within a couple days, our sleep was already a whole lot better, and two weeks in, I started to feel human again. We're so grateful for Vanessa! Highly recommend her services to any sleep-deprived parent! Vanessa is our real life hero! Our 9 month old was waking up at least 2 times a night and getting him back to sleep was becoming increasingly difficult. She helped us identify which pieces of the puzzle we were missing and now our son sleeps 12 hours a night with no wake ups and no night nursing!!! I love how Vanessa really listens with compassion and understanding so that sleep training feels like a team effort. Her empathy combined with her medical background helped us feel completely confident in her process. Now I feel human again after getting 8 hours of sleep a night for the first time in 9 months and our son is so happy and well rested. My only regret is not contacting Vanessa sooner! I can't recommend Vanessa enough! We originally sleep trained our son at 3 months because he wouldn't nap for more than 30 min. That worked well but right around 5-5.5 months something changed and he had trouble sleeping again. We started rocking him to sleep again and it was so frustrating. The time she spent with us was above and beyond, and I can say it's such a great value and investment, especially since we worked with someone else prior. I loved the sleep log and the comments she made daily to help encourage us along the way. Thank you Vanessa!! 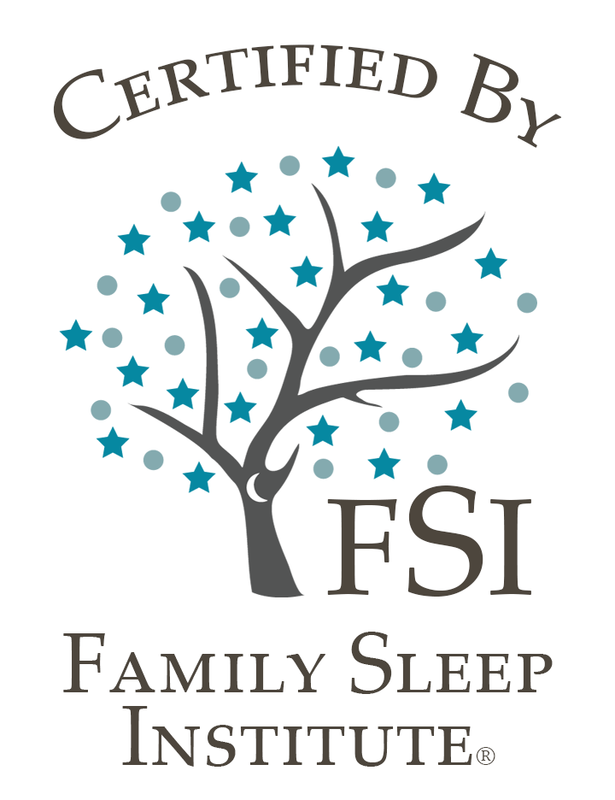 Vanessa created an individualized sleep plan that worked for wonders for our family. Her knowledge in sleep training helped me create better sleep for my infant son. She was so helpful, kind, and cared about our families health (mom and baby). She celebrated our good sleep times and helped us work through our bad sleep times. She is an amazing coach and I'm so grateful for all she did for our family. Thank you a million times over! Let's make your family's success story next!